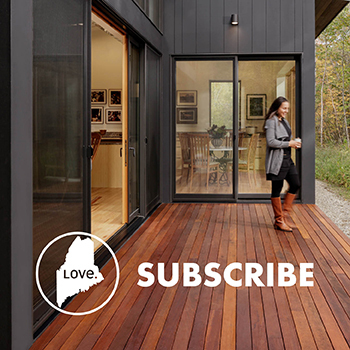 “We started with a large overall space that was poorly organized—we gutted it and reconfigured it entirely. Because the clients have such high-stress jobs, what I wanted to give them was a bathroom that was a spa-like experience. The clients take daily baths, so the tub had to be a focal point, and the shower needed to accommodate the husband and wife’s different preferences for pressure, spray, and temperature. The clients also had a list of elements and genres to be included, such as rustic, lake, metal, and iron with a touch of beachy and bohemian—basically they wanted a lot of different looks unified—so I had to pare down that list and create something that would feel cohesive and pulled together, all while incorporating these into something with a luxurious feel. “Materials were really important because of the multitude of design elements that the clients wanted to include, so I started with a few key pieces. Frank Webb Home was really integral when choosing the bathtub and shower because I could take my clients to the showroom and have them test out the wet wall. The clients asked for reclaimed wood, which is hard to do in a bathroom, but we worked with Tim Hill Fine Woodworking and Design Company to design their beautiful custom vanity out of reclaimed antique pine. We created a large window in the bathroom to bring in natural light, while warmth was brought in with soft grays and creams. 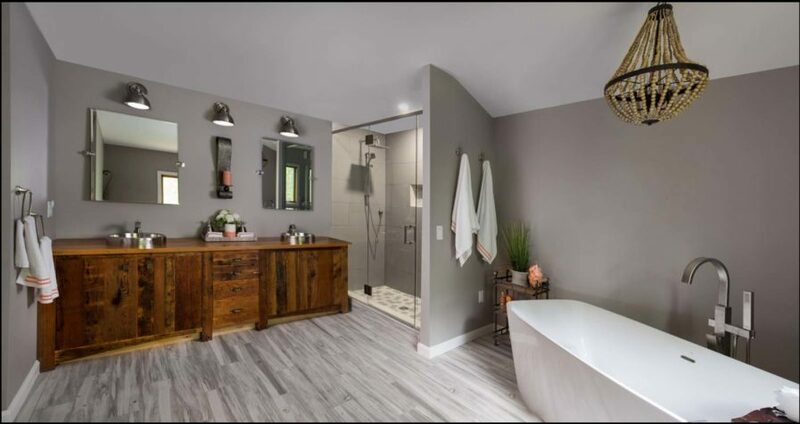 I added sleeker elements with the faucets and the tub filler, and then did a really clean plank-style floor that infuses a warm, weathered look. I was able to add bohemian and beach vibes through smaller details and elements in the space. For example, the empire chandelier with beaded detailing and the embossed tiles in the shower give it that boho touch.